After an intense pitching duel and a thrilling walk-off home run by Phillip Ervin in extra innings, the Reds (53-69) look to build off that momentum in the second game of the series tonight at GABP. First pitch will be at 7:10 ET. It’s the middle of the August and Matt Harvey is still a Red. It is what it is. Harvey hasn’t done anything to drastically hurt his trade value, but it makes you wonder how many, if any, teams are inquiring about him. His overall ERA for the season is over 5.00, but his ERA with the Reds is 4.61 in 84 innings. Harvey is another Reds pitcher who has been victimized by the home run ball. He’s given up 14 home runs during his time in Cincinnati thus far and 20 home runs in 2018. He’s also given up 84 hits with the Reds, which can be averaged out to a hit every inning. But while home runs and hits in general have been his problem, walks have not been. Harvey has walked just 20 batters all season, including with the Mets. Andrew McCutchen and Brandon Belt are the two players to look out for against Harvey. Belt has two home runs against him in 11 plate appearances. We don’t tend to hear much about Madison Bumgarner, at least not like a few years ago when he was a Cy Young candidate and won a World Series MVP. Dealing with injuries for the last two years will do that. Last season, Bumgarner dealt with a shoulder injury suffered while riding his dirt bike, but returned to finish with a 3.32 ERA and 3.95 FIP in 111.0 innings. This season, Bumgarner suffered a fractured left hand after getting hit with a line drive in spring training at the end of March. He returned on June 5, and has pitched solidly since, recording a 2.71 ERA and a 3.70 FIP in 79.2 innings. In his last start against the Dodgers, he gave up seven hits and two runs in six innings, with four strikeouts and two walks. It’s too bad Joey Votto had to go on the DL (thanks again, Ryan Madson), as he hits .400 off Bumgarner. Instead, Billy Hamilton and Scooter Gennett could do some damage. Both have home runs against him. -If you’re going to the game tonight, look out for this young girl who is trying achieve a goal of throwing out a first pitch with her robotic hand at all 30 ballparks. Tonight will be her 28th park. -The Reds have some of the best players in the Florida State League in their farm system, according to Baseball America. -The Reds have some All-Star prospects in the Midwest League as well. -As a follow-up to the Phillip Ervin article yesterday, here’s a comparison of Ervin vs. Mason Williams in both the majors and the minor leagues. 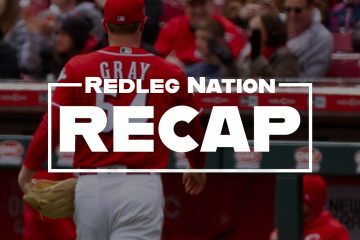 [Recap] Anthony DeSclafani is great, and Phillip Ervin delivers a walkoff home run. Reds win! Ashley Davis was born and raised in Cincinnati, went to college at the University of Cincinnati, and currently live in Cincinnati. Being a Reds fan is all she's ever known. She enjoys taking baseball road trips with her dad, and her goal is to visit all 30 MLB ballparks. She's had a passion for writing since high school, and enjoys combining it with her passion for baseball. That’s really odd that BA has Taylor Trammel as the best OF arm in the FSL. I always thought the knock on him was he had a noodle arm? Good news is better than bad, just don’t know how seriously to take BA on that! Harvey was well on his way to refuting his critical pundits…until he laid an egg in his July 22nd start. Everyone seemed to be waiting on Harvey to stumble and fertilize their skepticism or continue with his dominating success and give them reason to pause and consider. His 3 starts since the July 22nd start have done nothing to enhance anyone’s opinion of his value, except the Reds of course. Harvey just had no wiggle room to attract positive attention unless he nailed down every start. I doubt there is any real interest in Harvey at this point. I also doubt that he will have much FA value without a 1-year balloon contract to try and reestablish his value and I would certainly not want to use GABP to try and reestablish that value. And yet, he’s our 2nd best pitcher behind Disco – Our 2nd best pitcher and no one would want him.. Our starting pitchers are complete trash. Thanks for the ‘heads up’ on Hailey’s appearance for the 1st pitch at GABP tonight. That’s a must see opportunity. We’ll see who wins the game but the real winner tonight will be Hailey. Okay, we got Ervin and Herrera in the same starting lineup tonight. Hope they shine. To Mark Lang’s point above about Harvey as 2nd best pitcher…..
On the Giants broadcast last night, play by play guy Duane Kuiper quoted Bruce Bochy as saying SF was facing “the Reds 3 best pitchers”….Disco, Harvey, Castillo. (Not quite Corbin/Greinke/Godley or Nola/Arrieta/Pivetta). A guy who has to prove he can get through 200 innings next year, a guy on his last chance and a guy whose stuff for sure plays, but is far from a finished product. Harvey is not on his last chance. There are teams that would take him. They just aren’t going to give somebody up for him by trading for him. He will be signed by somebody in the off season. Way to make their pitcher work. I didnÃ¢â‚¬â„¢t take my grouchy pill today. So IÃ¢â‚¬â„¢m gonna tell you IÃ¢â‚¬â„¢m looking at a pitcherÃ¢â‚¬â„¢s durland IÃ¢â‚¬â„¢m enjoying it. Fun game so far!! I like Dixon alot….hopefully that will give him some confidence! Better then Senzel, Ervin, and everyone else at AAA. He’s got some power and can run and can play all over. He’s better then Blandino imo and Blandino is better then what we’ve had in years past on the bench. Harvey? They need to see if he’ll sign for 2 years. He starts off almost every guy 0-1 and doesn’t groove 0-2s with 2 men like Castillo. The Reds aren’t going to field 3-4 better starters next year. You better watch it , I got ridiculed for suggesting they sign Harvey. Yep….gifted us a run by throwing home when they had zero chance to get Peraza. I’ve seen that a ton from the Reds too. Dumb baseball? Scooter tied for the lead in the NL with 3 hit games….going for another tonite! Peraza looks great too! I am rooting so hard for a Harvey no-hitter. it will lead to all sorts of hot takes on how wise the Reds were to hold on to him and how they should re-sign him before the season ends. h/t to Jack (good call). Switching back and forth from the Bengals game. Not impressed with their run game and offense. As for Peraza that was a nice try on preserving Harvey’s no no. Doing the same. Reds are faring much better. Dilson longball!! Madbum a shell of his former self. It would be easier to break all his fingers and then fill out the lineup card for him. Easy Jack but if you need some help. Are we sure we want Billy to get the most at bats every game?Didn’t we try that for like 4 years? Let’s see if he stays there when schebler comes back. So they just brought Williams in for Herrera. Thanks for that homer, Dilson. Take a seat. And btw, when will Aquino ever get to play? Outfielders out the wazoo. I think they passed a law which states he has to make a double switc. The offense will be pretty good next year….maybe very good? The bench should be good…esp if Dilson, Dixon, and Blandino are on it. The pen worries me some…H&H will both be 34 next year. Overall though…if they can add 1 decent starter and maybe keep Harvey then they could surprise alot of people! Oakland came out of nowhere. 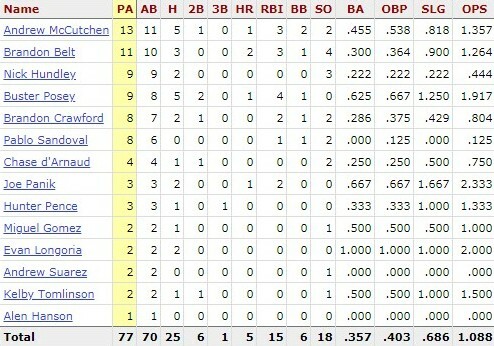 Scooter leading the NL in 3 hit games….unless Jose Mart with the Cards kept pace? Yeah, but this is all a fluke. Gennett will regress…..any minute now. 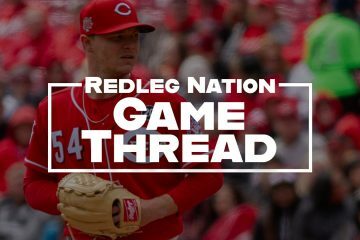 Chad Dotson and Redleg Nation with a shoutout from Chris Welsh! Haha, just about to post the same. Plugged the book and the kid! Yeah, how about that! Nice mention by Chris about Chad and son. And Redleg Nation. Congratulations Chad! Love your son’s name! I couldn’t agree with Welsh more than Eugenio needs a day off. He’s earned it. Nice damage control by Lorenzen.